Mumbai: India’s richest are getting poorer, according to Forbes, as falling stock prices, corruption scandals in Asia’s third-largest economy and a global slowdown wiped 20% off the total value of the country’s 100 wealthiest in the last year. 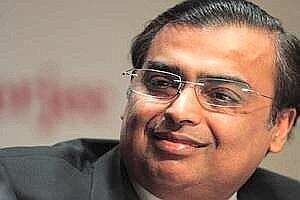 Mukesh Ambani, head of Reliance Industries , India’s most valuable company, retained the top spot with a value of $22.6 billion, despite seeing his net worth drop by $4.4 billion. In the same period, Ambani completed construction of a 27-storey house in Mumbai, costing an estimated $1 billion. The biggest loser in the list was Ambani’s younger brother, Anil, whose net worth stood at $5.9 billion, down from $13.3 billion. His Reliance Group companies have been some of the worst performers on the Mumbai bourse this year. A major drag for Ambani has been telecom firm Reliance Communications , which has $7.5 billion in debt and has so far failed in efforts to ease debt and raise money. The combined wealth of India’s richest 100 people fell to $241 billion in 2011, according to the Forbes India Rich List, which includes 57 dollar billionaires, a dozen less than a year earlier. “This has been a turbulent year for India’s richest," Naazneen Karmali, India editor of Forbes Asia, said in a statement. “Despite the economy growing at close to 8%, a spate of corruption scandals and rising inflation have taken a toll." The world’s second-fastest growing major economy after China grew only 7.7% in the three months to June, its weakest in 18 months, and Mumbai’s benchmark stock index is down 16% since January. India has raised its interest rates 13 times in 19 months, hurting demand for big-ticket items and making it more expensive for businesses to raise capital. Of the 85 alumni from last year’s list, 66 saw their worth drop this year. A net worth of $370 million was enough to make the 2011 list, down from $500 million a year ago. Energy and metal barons Shashi and Ravi Ruia lie fourth with a combined worth of $10.2 billion. Kumar Birla, head of the fabrics-to-cement Aditya Birla conglomerate, Adi Godrej of the Godrej Group and construction tycoon Pallonji Mistry -- the largest individual shareholder of the Tata Group and father-in-law to Noel Tata, touted as a likely successor to Ratan Tata -- are also in the top ten. Many of those companies are benefiting from India’s plans to spend $1 trillion in the five years to 2017 to overhaul its creaking infrastructure, seen as a barrier to continued economic growth. Only one name from India’s showpiece IT sector made the top ten: Azim Premji, chairman of Wipro , India’s No. 3 software services provider, ranked third with a net worth of $13 billion. Savitri Jindal, head of Jindal Steel and Power Ltd , was India’s richest woman, sitting fifth on the list with a net worth of $9.5 billion. Jindal was one of only five women on the list of one hundred. A $39 billion telecom scandal, likely India’s largest ever graft scam, made its mark on the list, with two accused in the case, Vinod Goenka and Shahid Balwa, falling out of the top 100. Both deny any wrongdoing. Debutants on the annual list include Kapil Bhatia and his son Rahul, founders of budget airline IndiGo, and V.G. Siddhartha, whose coffee shop chain Cafe Coffee Day gave him a net worth of $595 million. India’s biggest gainer in percentage terms was Brijmohan Lall Munjal, head of two-wheeler HeroMoto Corp , whose net worth rose to $2.7 billion in the year his firm ended a 26-year partnership with Japan’s Honda Motor . India’s auto industry has seen car sales declining on high interest rates while families of four continue to buy two-wheelers, most of which can be bought without relying on loans.